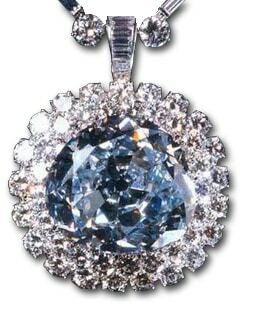 I wanted to share with you a little bit of history on a piece of jewelry that I have included in this month’s download. As you know I often include extractions of brooches or charms from my own collection, or of those in the public domain. This particular cross that I have included this month once belonged to Pope Paul VI. In 1965, when Paul VI was invited to be the first Pontiff ever to address the United Nations, he gave this cross and a ring with the hopes that the proceeds from its sale at auction would contribute to the UN’s efforts to end human suffering. The auction took two years to prepare and was handled by Parke-Bernet, the nation’s largest fine art auction house (until it was acquired by Sotheby’s in the late 1960’s). An 8-page brochure about this cross, and ring was printed for this unusual sale which took place in November, 1967. Chicago jeweler Harry Levinson bought both pieces of jewelry for $64K and the amount was divided between four UN agencies. After that, the two pieces of jewelry were bought and sold several times. At one point they were even owned by renowned daredevil Evel Knievel. It is a mystery to me why it took two years to set up an auction, and then, why did a set appraised at a million dollars sell for only $64K? Normally an auction house of such stature would be able to set up an auction very quickly, including all of the advertising and publications required – and then, if bids did not equal the set minimums, it would not be sold. The buyer, Harry Levinson, had a reputation for acquiring unusual pieces – he once owned the Russian Imperial Nuptial Crown, and the 70 carat “Idol’s Eye”, which was originally set into the eye of an idol, before it was stolen. So on with the blog train. It is called the “We Believe” blog train, and yes, this is a blog train for designers that believe in Christianity. Each kit will have at least one piece that symbolizes our precious beliefs. The theme for this month is “He Leadeth Me”. I hope that you will find pieces that will further your own collection of digital designs! The blog role is below – please check out their links and pick up their designs too. Another beautiful collection and an interesting story, though very sad about the old gentleman. While I made a conscious choice years ago to walk away from the Christian churches where I was raised, and found my own path in druidry, I’m now finding myself needing stuff to make inspirational books for my mother, who was just diagnosed with Stage 3 mantle cell lymphoma. It’s spread through her lymph nodes from her head to her knees, so they’re talking about aggressive treatment. She could use all the prayers she can get; they say a stem cell transplant might buy her 5 years. Since she’s still strong in her faith, I’m including a number of Bible verses in the books I’m making, doing typography on 4×6 journal cards (and some little layouts, but I’m focusing on trying to get the first one out next week and have another 28 pages to fill in that book). Gosh Holly, I am sad to hear about your mum, but will add her to my prayer list. You are a kind and loving daughter to keep her spirits up with your scrapping. Let me know if there is ever anthing that I can do……. Thank you very much for the interesting story and the beautiful kit. Thank you so much! Beautiful, as always, and interesting stories! Thank you for your contribution to the Hop and for sharing your faith. Beautiful Collection! I love reading the stories behind fabulous jewels. Thank you! As always, Sunny, you have gifted us with beauty. Thank you for the time and thought you invested. I always look forward to your use of jewelry in your kits… I must admit I am puzzled as to the cross you mentioned. I did not see it in my download. Perhaps it does not look as I imagined? Anyway, thank you so much for your lovely work! Thanks for this beautiful gift Sunny! Your work is simply gorgeous and I thank you so much for sharing your talents so generously! Thank you for sharing your beautiful creation … I love the watercolor papers; such a beautiful artsy look! & thanks for sharing the history of the cross!